 Welcome to the Archipelago Research Institute’s blog! This blog is dedicated to everyone interested in learning more about the Institute, the Baltic Sea, the Archipelago Sea and the historical Seili island. The blog is updated by the staff and researchers working in Seili. We wish to showcase the many aspects of the island, share stories about our research, teaching and related activities, and provide research-based information to prospective visitors and others who are looking to explore and enjoy the beautiful Archipelago Sea. For the convenience of international readers, the blog has two separate language versions, a Finnish and an English one. Future English posts will be found on this separate page. The site should automatically detect your language, but in case it doesn’t you can easily switch languages in the main menu and sidebar. 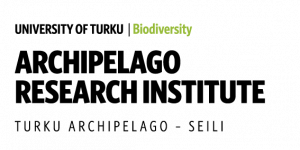 The Archipelago Research Institute is part of the Biodiversity Unit of the University of Turku, Finland. The marine station is located on the island of Seili (60°14’N, 21°57’E), in the middle region of the Archipelago Sea (northern Baltic Sea) about 30 km from the city of Turku. The Institute has been operating on the island since 1964. We also have an office in Turku, in the University campus area. The Institute participates in multidisciplinary research of the Baltic Sea, with a special focus on the Archipelago Sea. We conduct long-term environmental monitoring and offer a number of research and teaching services and support to researchers, teachers, and students visiting Seili. Our own research chiefly comprises of projects studying the biological and geological condition of the Archipelago Sea. Most of the research in Seili is done in cooperation with other research groups within and outside the University of Turku. Questions, comments, feedback? What would you like to read about? Contact us through our homepage or Facebook and we will respond to you as quickly as possible.